When it comes to decorating your bathroom, the thing that definitely sets the tone is your choice of tiles. 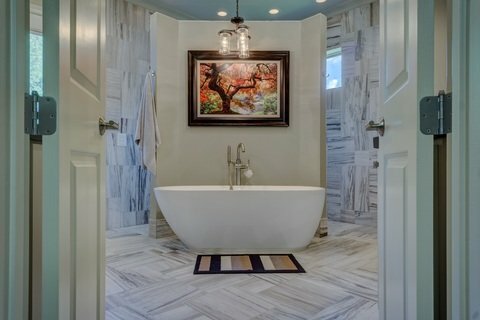 Although other materials are used in the bathroom, tile is still the most popular choice, which is why it’s important to make the right call. Since tiles now come in all shapes and sizes, we are spoiled for choice, which can be quite overwhelming. Still, it’s always a good idea to listen to professionals and their tips and ideas when looking for the best possible solution. 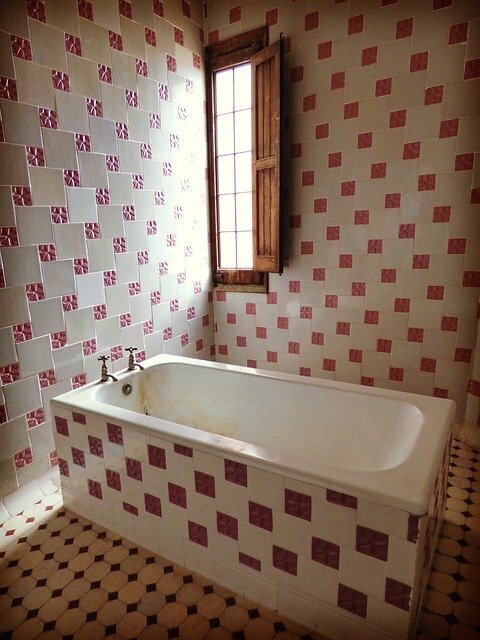 Marble tiles always add a touch of class, regardless of where you install them. If you’re going for a more luxurious look, consider creating a tile-covered arch beneath an oversized window, accompanied by a mixture of marble and black granite tiles on the floor. You can choose almost any color and size you want, which give you an opportunity to create something really special. Again, marble tiles are recommended for the best effect. 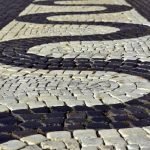 What you can do is have them cut into planks, which are laid in a way which ensures that there’s a prominent contrast between different areas of the stone. Herringbone floors look quite fancy and are sure to attract everyone’s attention. If you’re looking for something more original, you can create a mosaic using different tiles on the accent wall. Having your vintage or state-of-the-art bathroom vanity against the wall will make it brighten up and stand out. 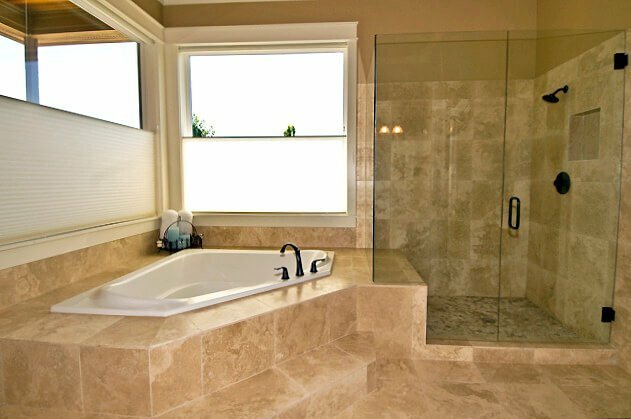 Tiles can also be used to create a divide between the wet and dry areas of the bathroom. Interior designers recommend using various shapes in the same marble material for the most dramatic effect. 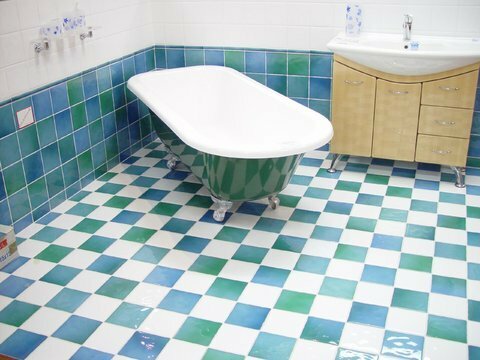 No matter how beautiful or posh your tiles may be, if they are not laid properly, you’ll fail to achieve the desired effect. So, make sure you know exactly where the tiles start and stop. That might mean you’ll have to take the tiling all the way to the ceiling if there’s no clean way to end the tiling. One of the best tips when it comes to designing your shower booth is to put the shower niche on the same wall as the shower fixture. 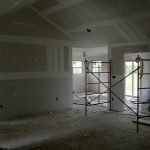 This will help you tile the main walls without any disruptions or cut-outs in the focal wall. You can follow the same pattern over the shower curb and into the shower pan to make the floor more spacious and neat. There is no better way of achieving a cohesive look than using one tile for the whole space. If you have your heart set on larger tiles, you need to be prepared to cut some of them to maintain continuity. If you cover the walls all the way up to the ceiling, you’ll create a spa-like effect, which can also be achieved by using glass tiles installed vertically. Just like you use clothes with vertical stripes to appear taller, you can do the same with your tiles. By installing them vertically, you’ll give the illusion of height, which might be very useful if your bathroom ceiling isn’t particularly high. Obviously, there are so many options out there and your choice will have to depend mainly on your funds, creativity, and taste. However, when considering renovating your bathroom, don’t forget to make it as functional and easy-to-use as possible. Otherwise, no matter how aesthetically pleasing your bathroom is, you won’t be able to enjoy it to the fullest. Recently I have been thinking about redoing my bathroom and I wanted to look up some information. I really appreciated how this article talked about how the thing that sets the tone in your bathroom is shapes and sizes. I will have to keep this in mind as I search for the right contractor.